of London's children live below the poverty line. This is a higher proportion than any other age group. of London's homeless households in temporary accommodation contain children. This equates to 45,000 children. in London's state-funded schools outperform their peers in the rest of England. 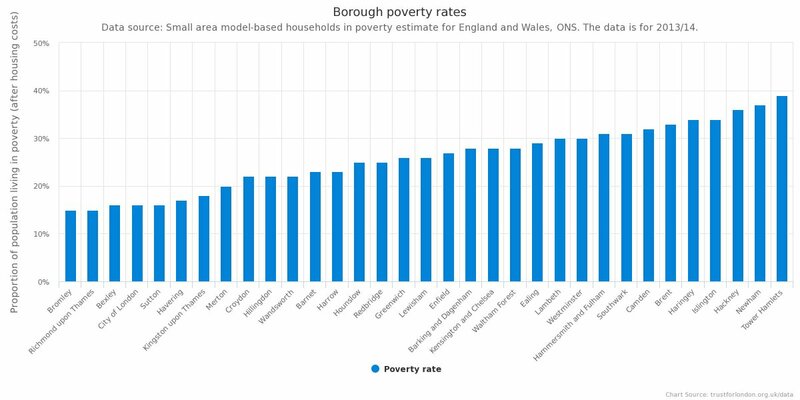 Children are more likely to be in poverty than adults in London, with child poverty at 37%, compared to 24% for working age adults, and 19% for pensioners. This figure has dropped slightly over the last decade. Nearly 5 out of every 6 homeless households living in temporary accommodation contain or expect children, reflecting the impact of high housing costs in the private rented sector on young Londoners. More positively for the capital, London’s children are outperforming children in the Rest of England regardless of their ethnicity, whether or not English is their first language, and whether or not they have a disability. 60% of children in London achieved 5 A*-C grades at GCSE, compared to 53% across the rest of England. 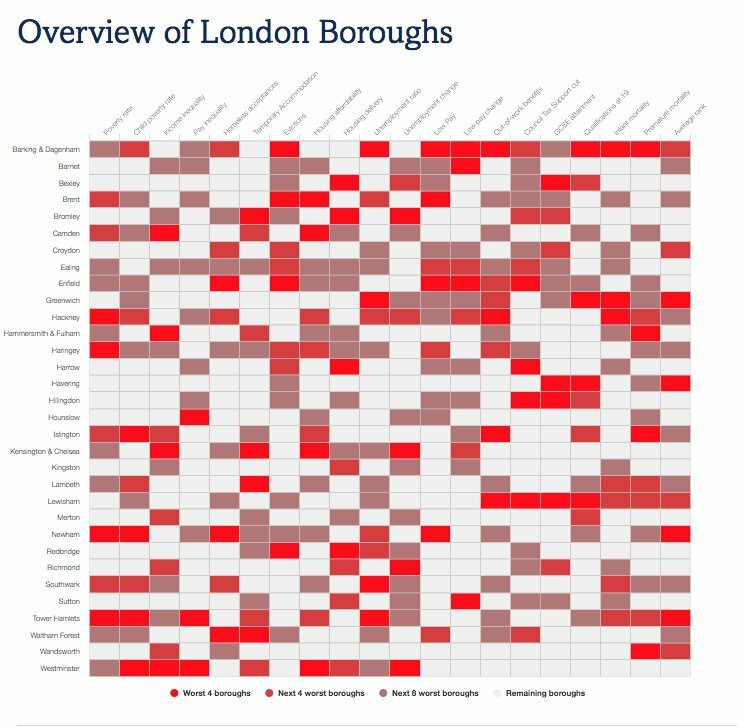 The attainment gap, which measures the difference in performance between disadvantaged children and their wider peer group, is much lower in London than in the Rest of England as well.